The house is not very different to the rest of houses in its surroundings. It is located in the Cup Square, within the town centre. At the beginning of the century, there were five documented potteries in this area. 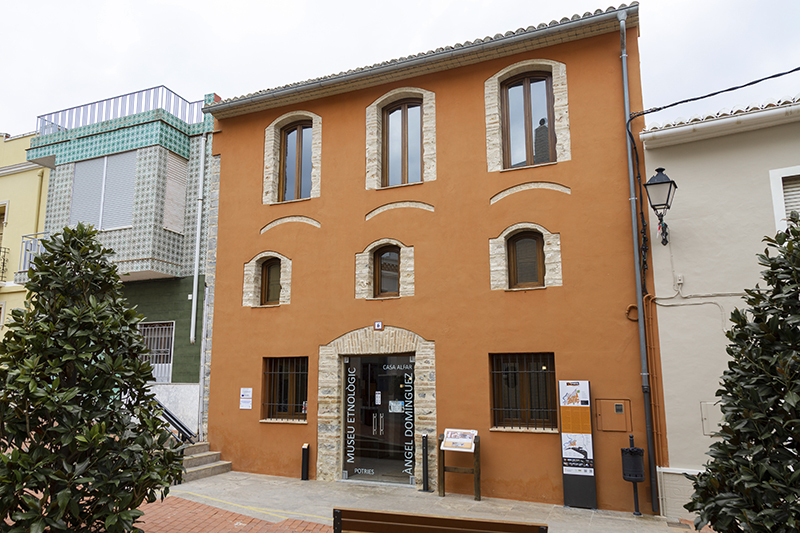 It is a traditional two-storey house with two main bodies and a central courtyard. The ground floor has a central corridor and three bays, and the upper floor is a diaphanous room. 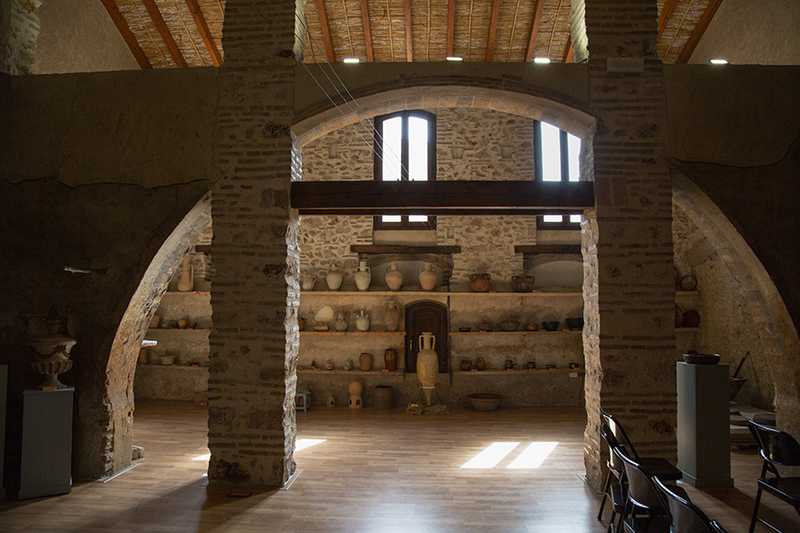 The living space includes all those rooms where the dwellers carried out their social and vital activities, differentiating it from the space related to the pottery production. This living space is on the ground floor of the house. 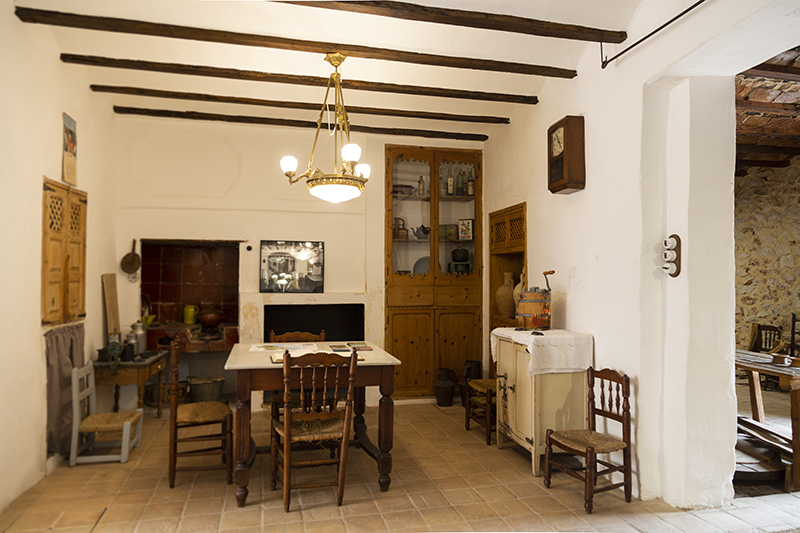 In the second bay we can see the dining room, with restored elements, such as the fireplace, the kitchen, or the pantry with its shelves. 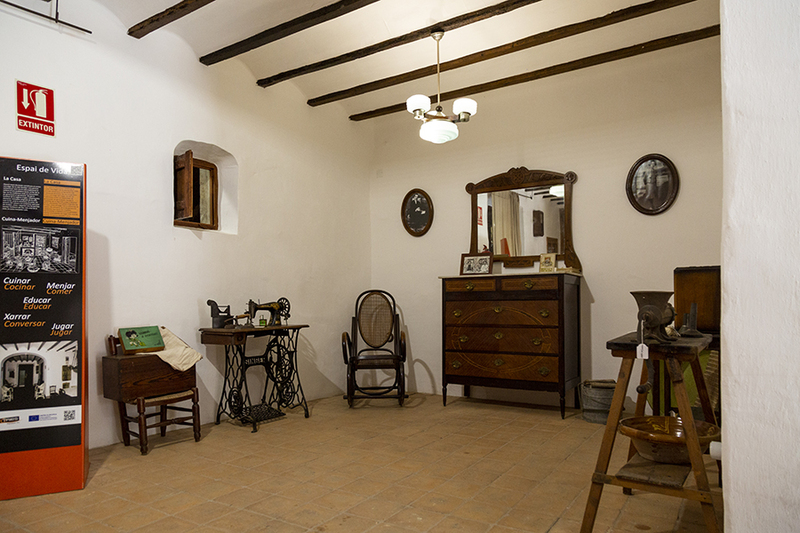 The original furniture, tools and objects recreate the atmosphere of the most vital place in the house, around an inviting table and the warmth of the fireplace. 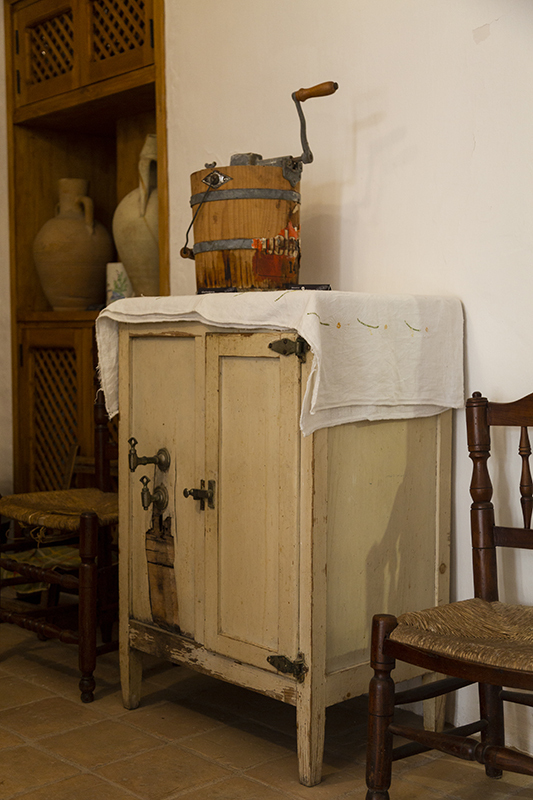 In the opposite space, we find furniture and objects related to domestic and traditional life. 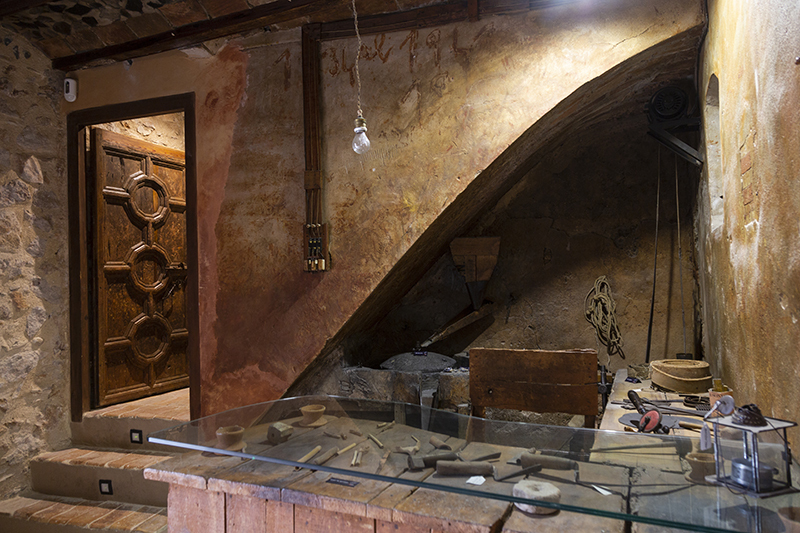 The craft area of the house is composed of the third bay and the upper floor, together with the courtyard and the adjacent sheds. 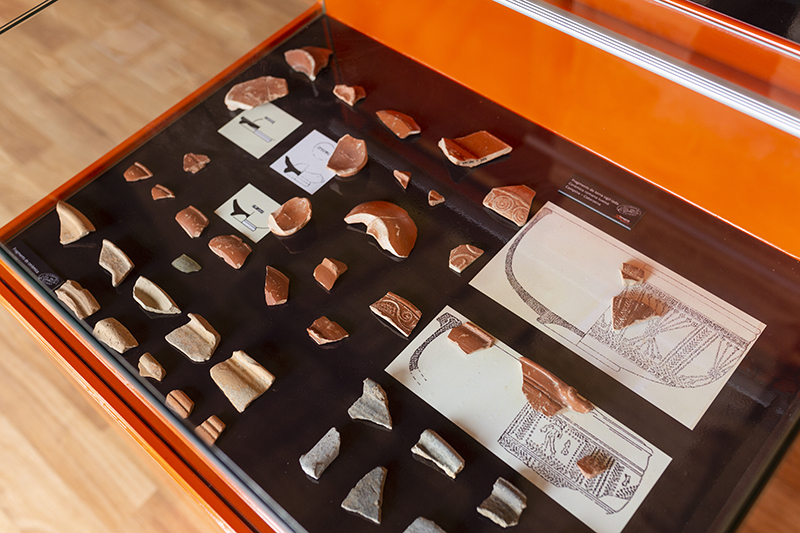 We have maintained many elements related to the production process, which have been restored and are exhibited along with the tools and other objects related to the pottery trade. 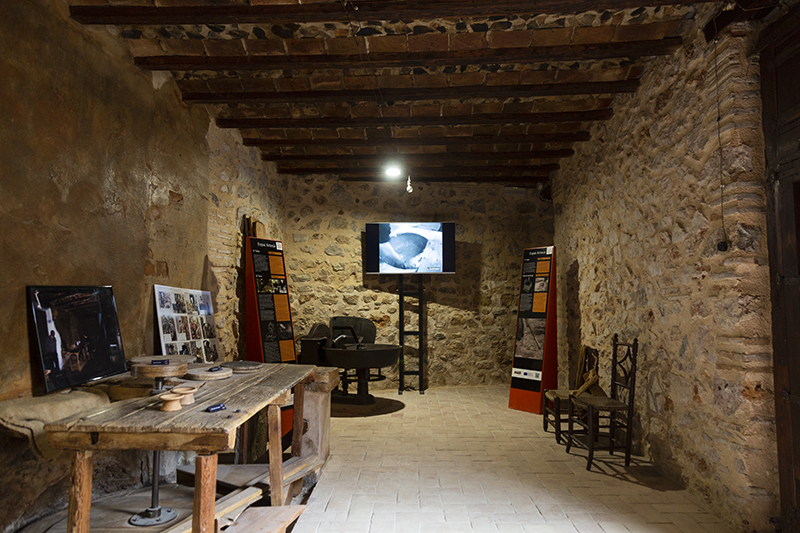 It occupies the third bay of the house and includes a set of devices and tools that, after being restored, are now part of the permanent exhibition. Most are immovable elements, such as the bench and the potter’s kick-wheel, the electric wheel’s bench, the electric motor and the transmitters, or the electric varnish mill. But there are also movable elements typical of the trade, such as the clay mixer, or several pottery tools (turntable, stool, cutting threads, sticks …). 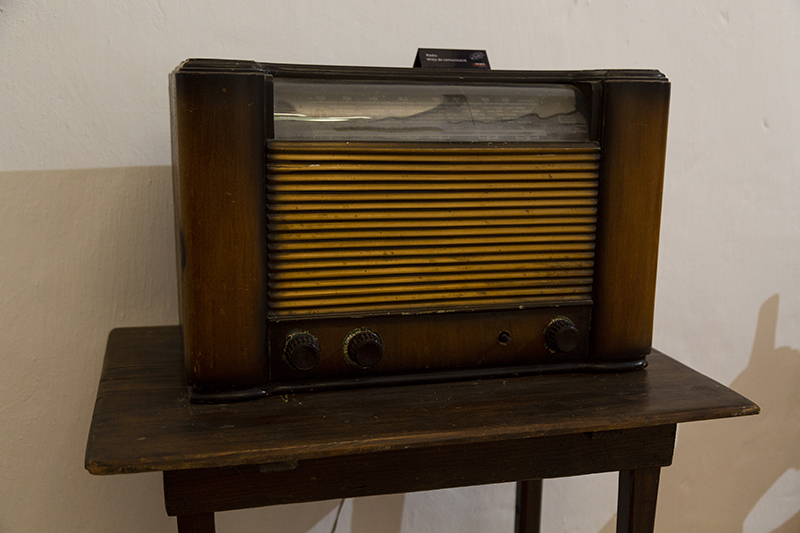 In addition, the original electrical installation is still preserved. 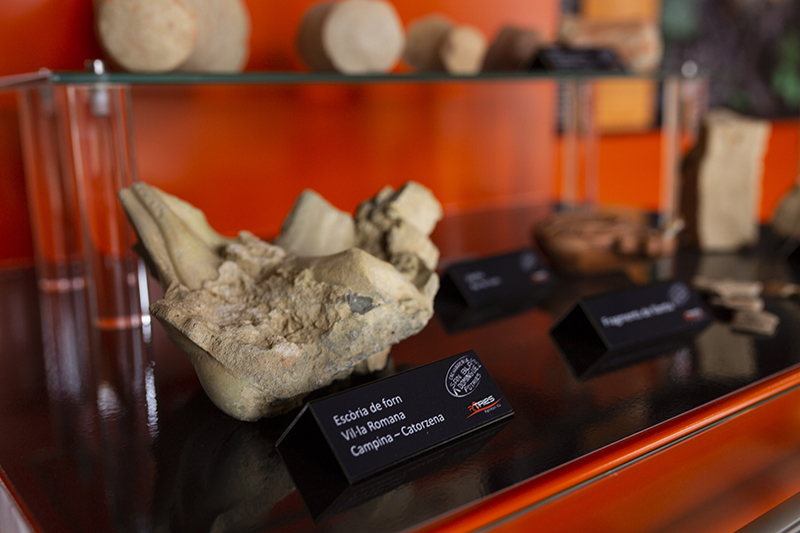 In this area was carried out an important part of the pottery work: the clay modelling into pottery pieces. The clay tank served once the mud was created, it will be stored in a room that has moisture conditions to prevent it from drying up and being able to work when Angel needs it. The tank has a window that connects directly with the yard to allow the mud to pass through this space. However, a whole piece of clay was not deposited, it was separated by layers between which moist esparto sacks were placed. The manufacture of pottery began in these decant pools. When the soil arrived to the factory, the impurities and little stones were eliminated, so the clay could be as malleable as possible. 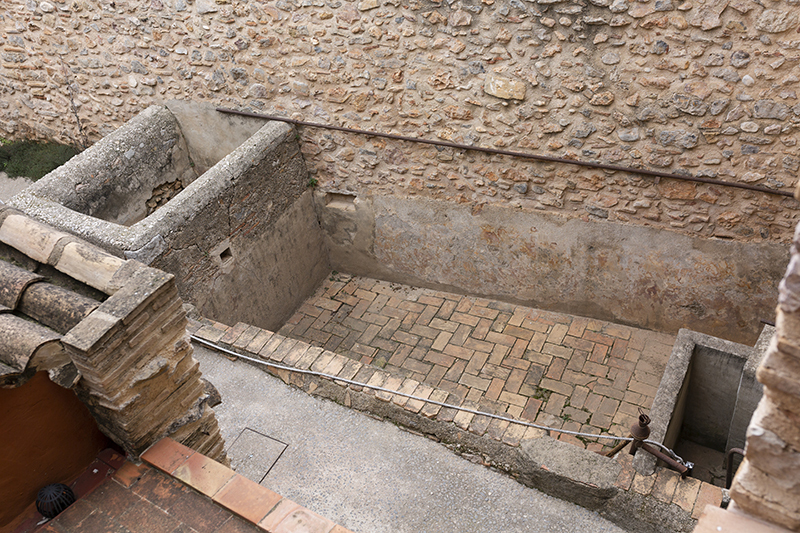 This process was carried out on the decant pools, which are generally two rectangular masonry constructions, different in depth and connected to each other. 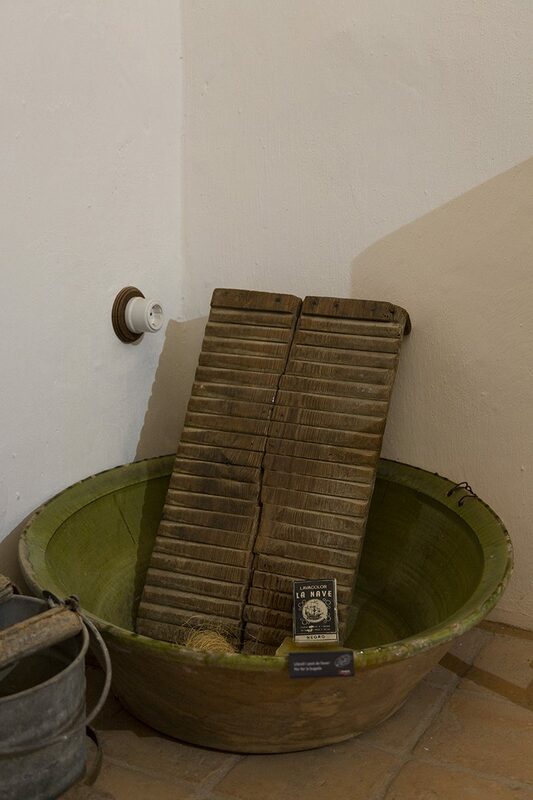 In the higher pool, the soil was mixed with water, and the resulting product was poured into the other pool through a conduit where a sieve was placed in order to eliminate the larger impurities. In the second pool the liquid mixture was allowed to settle so that the heavier stones were deposited in the bottom. 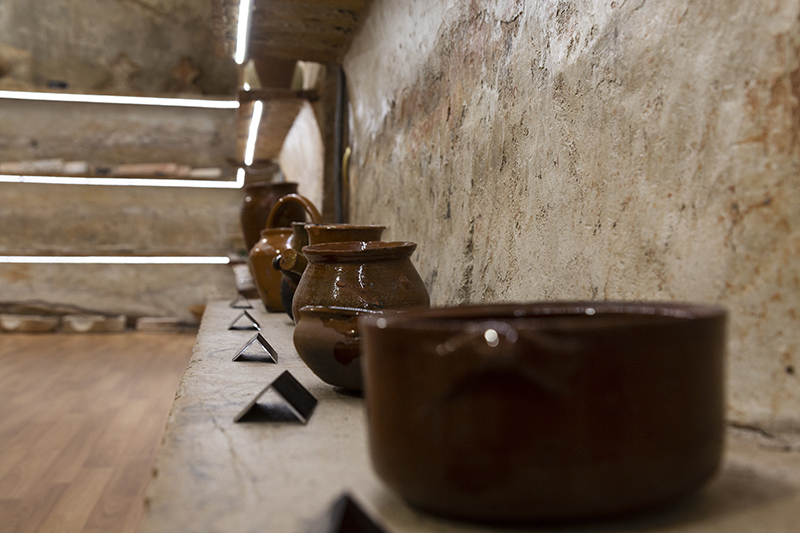 Once the excess water was removed, the best clay was formed in the upper layers, a precious material for the pottery works. 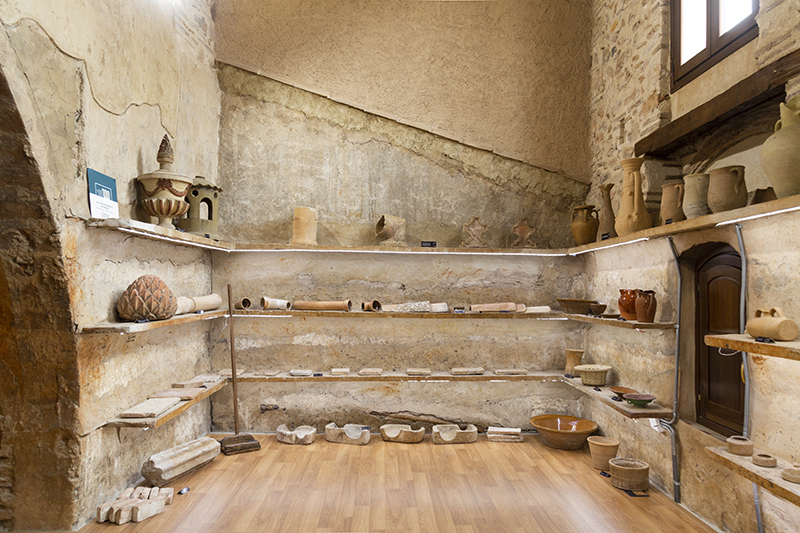 This clay was kept in the adjacent storehouses. In the courtyard we find a shed that was formerly used to store the kiln’s firewood, as well as other bulky objects, such as wooden benches or poles to dry the pieces. Next to it there was a stable, since the wood and soil were transported from the mountains and soil pits using donkeys. The kiln is placed in another shed at the end of the courtyard. This is a key element in the production process, where the heat transforms a soft clay object into pottery pieces, much harder and consistent. 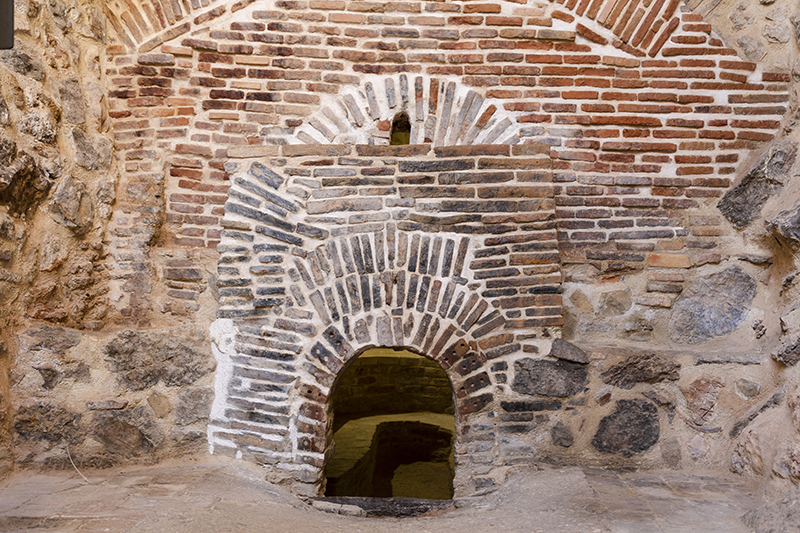 This kiln has a vertical chimney, and it is also called the “morú” (sooty). 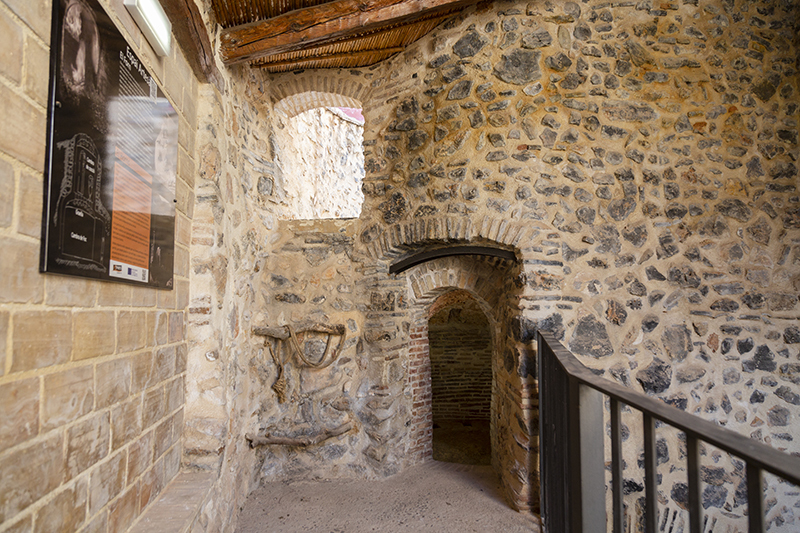 It is made of solid bricks, with a thick masonry and lime mortar wall on the front, and two clearly differentiated parts, connected by an exterior staircase. 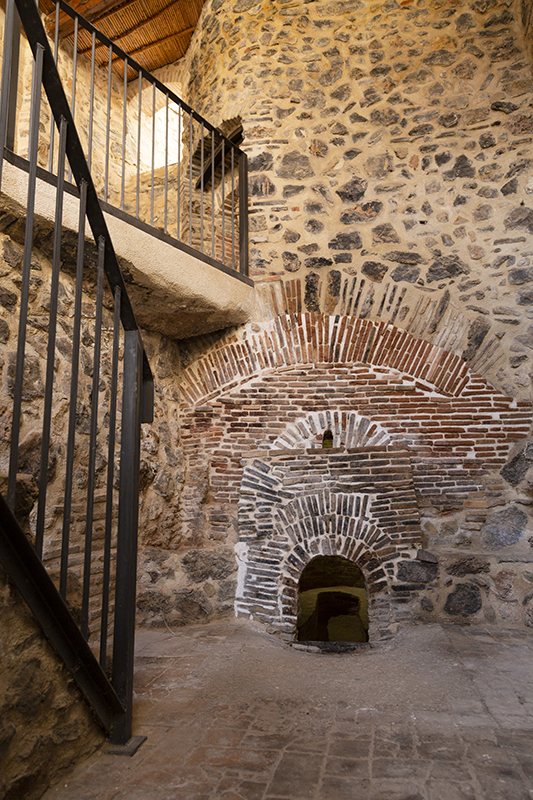 The fire place, at the bottom, is a rectangular space covered with a perforated barrel vault, and a small opening to insert the firewood and light the fire. Over it there is the firing chamber, a smaller, circular space covered with an also perforated vault where the pottery works were placed through an opening. 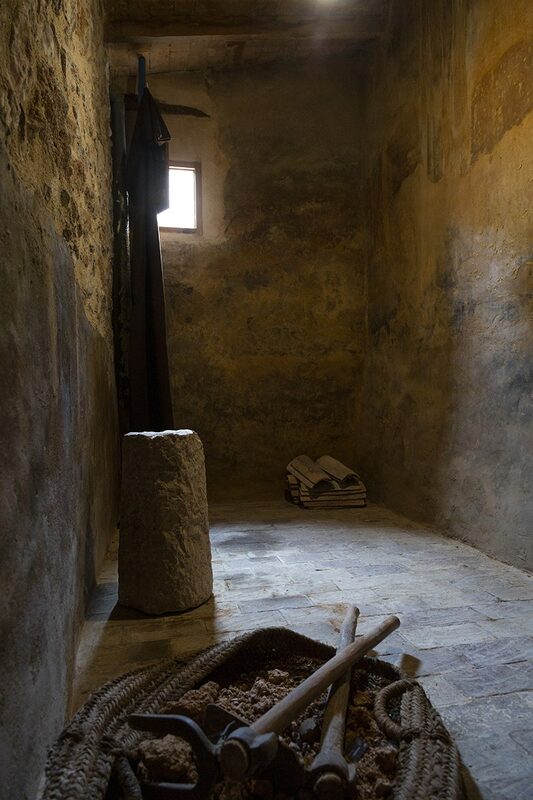 The floor has air holes along its perimeter which allowed a better heat transfer, and were called the “graella” (grill). 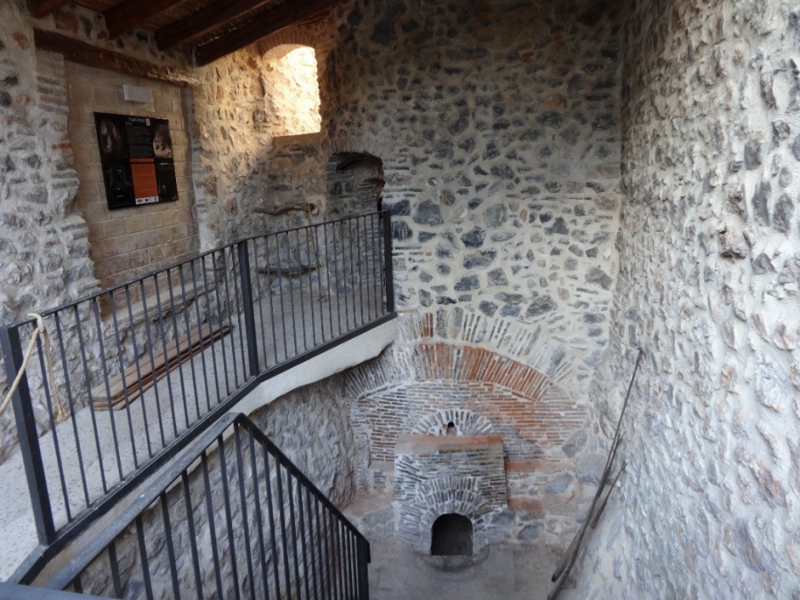 Both levels are connected by an external stone staircase. The pieces had to be orderly placed in the kiln chamber, a thorough task where the disposition was not at all arbitrary. After closing the firing chamber, the flame was lit, and since that moment the fire place had to be continuously fed with firewood. 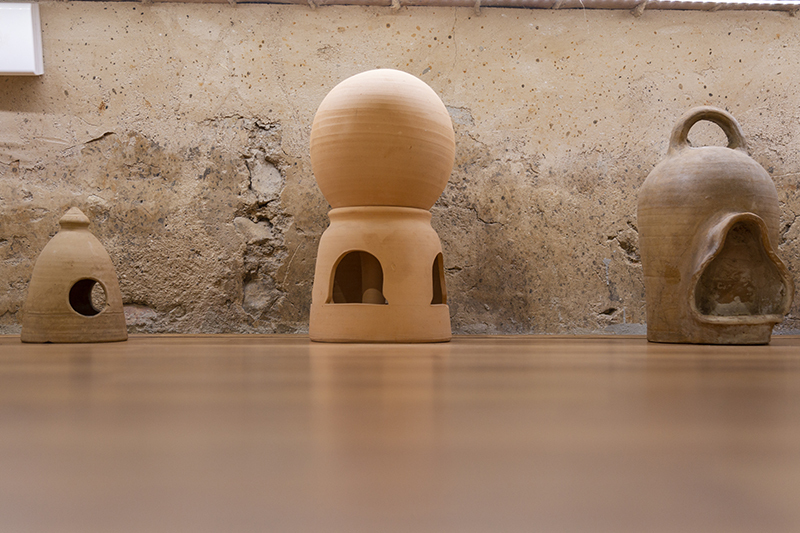 A batch could last between 25 and 32 hours, plus a couple of days until it cooled down and they could open the kiln. 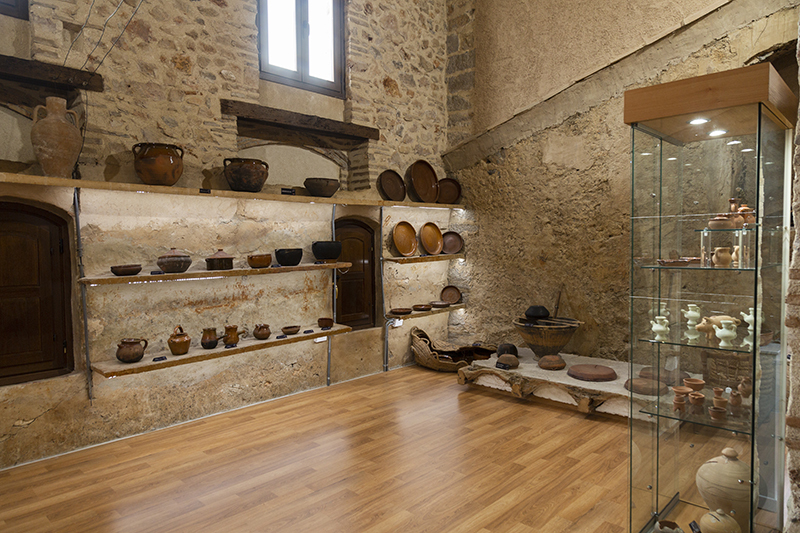 In the first bay on the upper floor, we have installed an exhibition of the pottery production in Potries, including construction elements as well as pottery domestic tools, especially the production of casseroles. 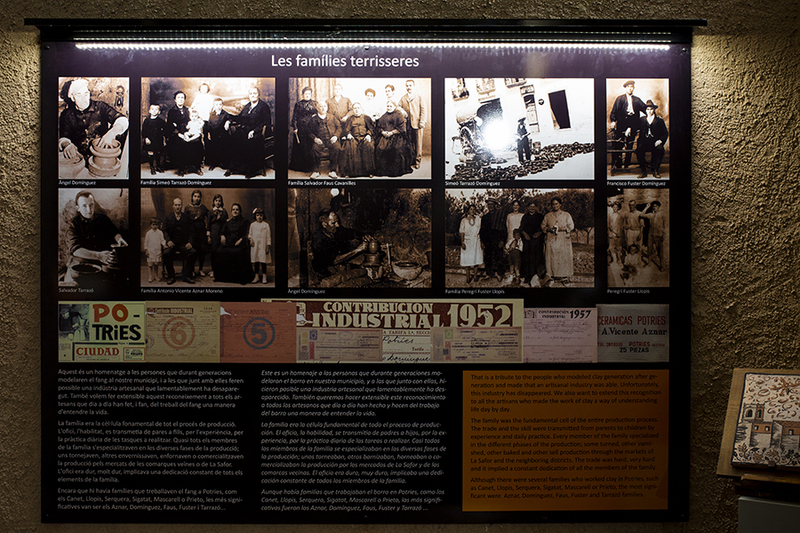 All these pieces were produced in the 19th and 20th centuries. 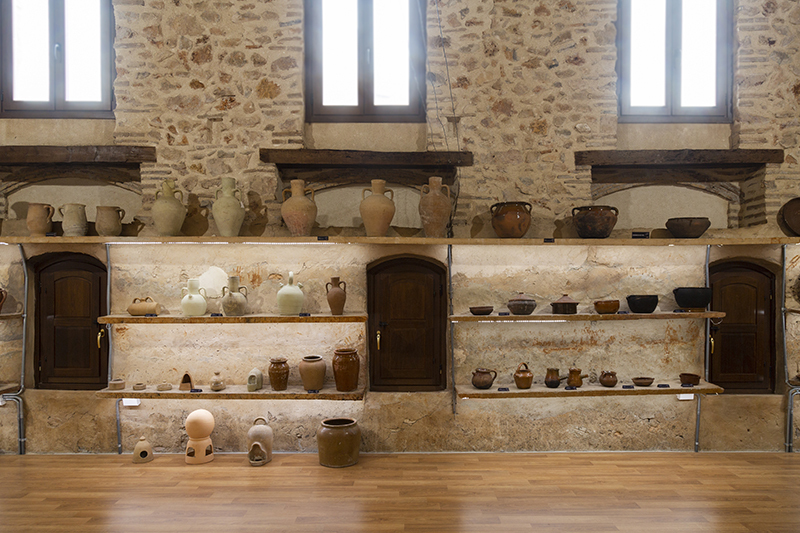 Over the centuries, Potries was an important nucleus of pottery production, its own name’s origin and meaning relate to this traditional craft. 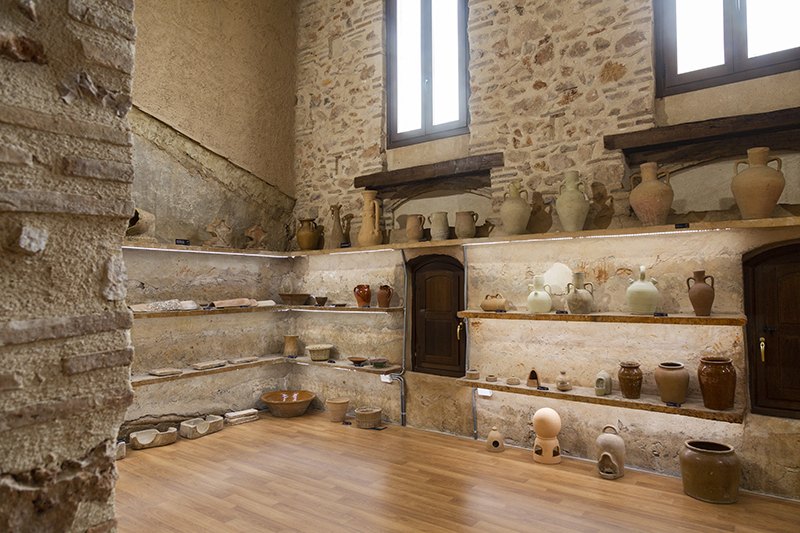 In the upper floor we can also make a journey across the centuries related to this thousand-year artisanal trade, and admire different aspects of the local pottery production in different historical periods. 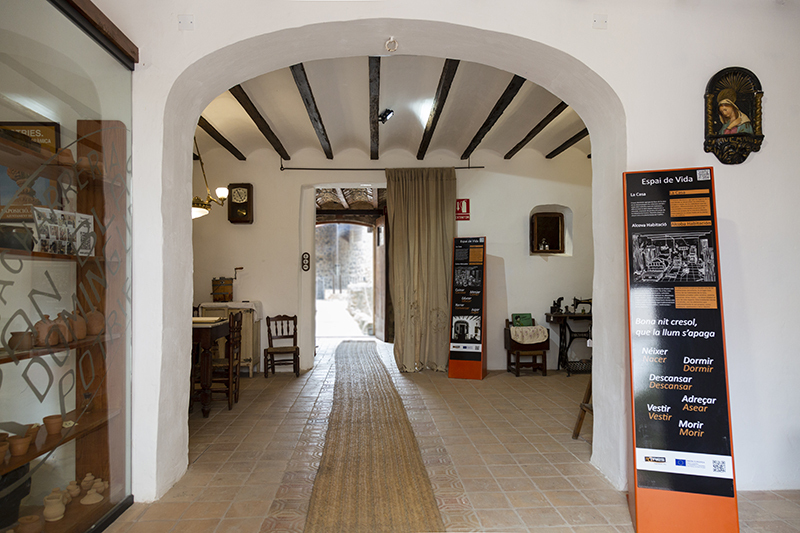 In other words, we will use the pottery trade and its products as a guiding theme for a suggestive trip through the history of this town and its people, and by extension the people of La Safor and the Valencian Community. 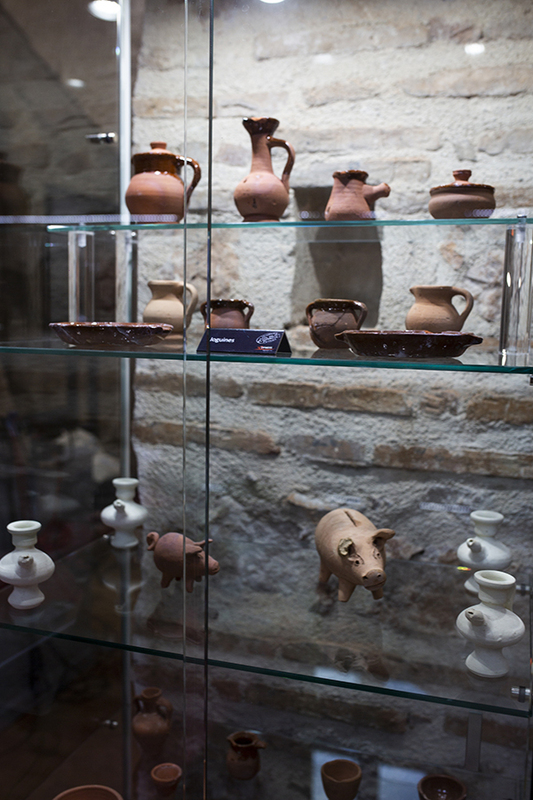 It is very probable that Potries pottery origins go back to the Eneolithic, a fact confirmed by the existence of an archaeological site of this time in the “Penyascos” hill and an associated necropolis, located in the plains near the Serpis River, dating from between 3000 and 1500 BC. 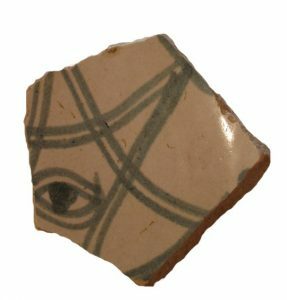 Some pieces of Iberian pottery found in Potries are also conserved, specifically fragments of vessels and whorls. 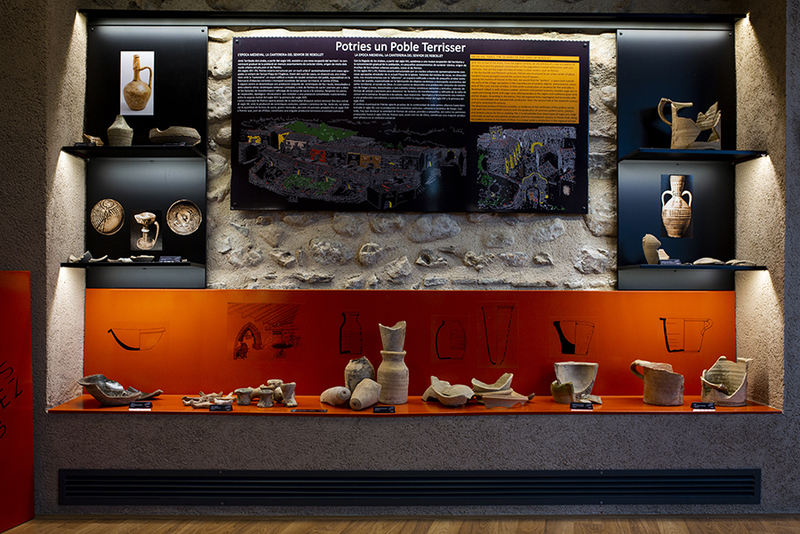 In this area we can see the pottery remains of the Campina-Catorzena Roman villa, a complex of considerable size, with a residential area, farming spaces, and even workshops for the production of ceramic containers used to commercialise their products. The Catorzena archaeological site, with evident vestiges of a pottery centre, is located on the river’s right bank, and is part of the rustic area of the Campina Roman villa. 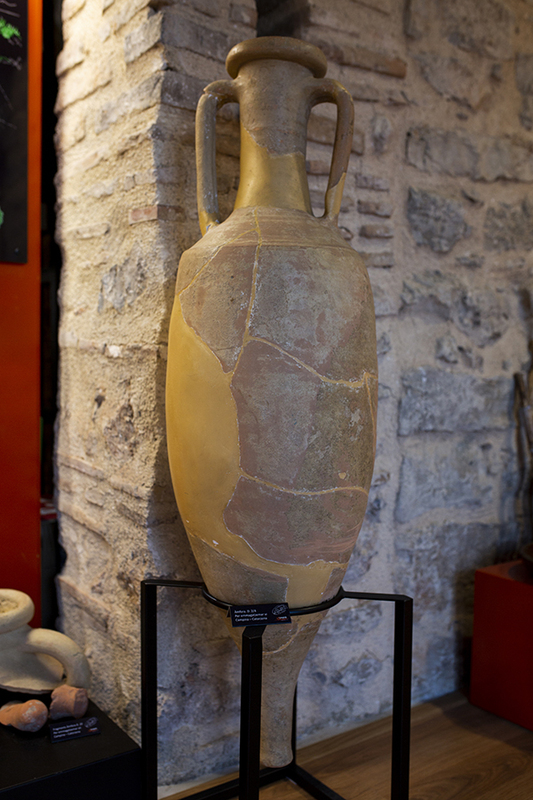 Its most characteristic production were the amphorae, destined for the transport and commercialization of local wine and oil. In addition, the archaeological register documents the production of several construction materials: tegulae, imbrices, etc. 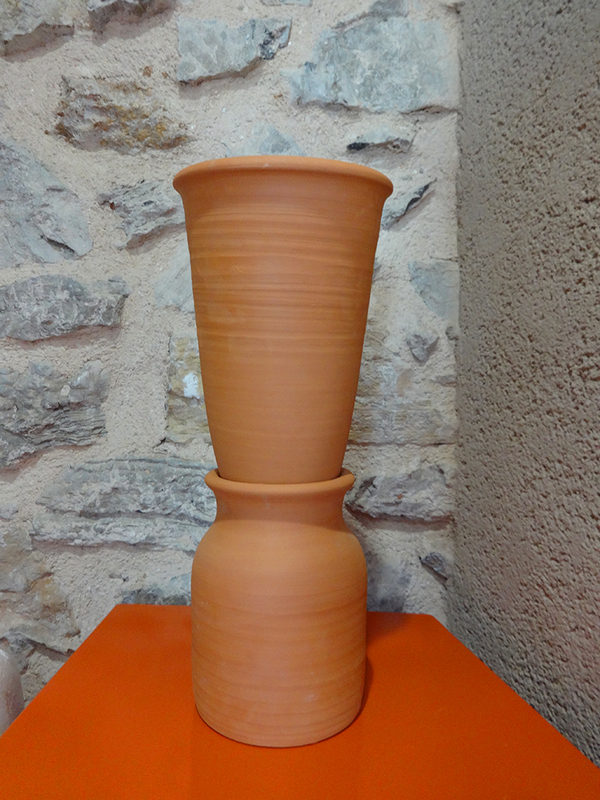 as well as a wide sample of common ceramics types. 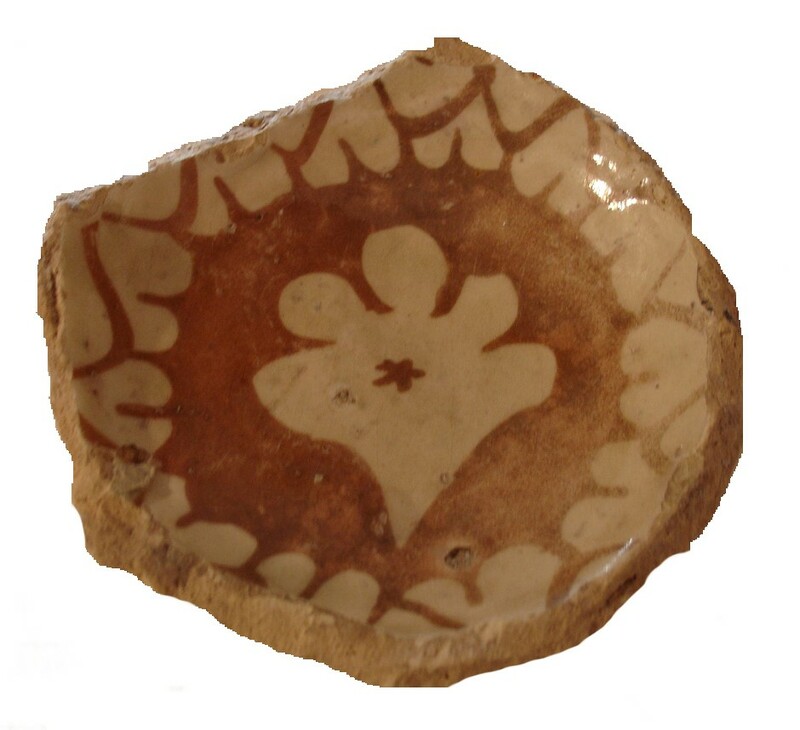 These signs of pottery activity in Potries confirm a fact already highlighted by the historiography since the end of the last century: the origin of the name Potries has Latin roots linked to the pottery trade. With the arrival of Islamic civilization in the 8th century AD, there was an expansion of the glazing technique, which was already known but not very used previously. The glazing process uses mineral oxides that acquire vitreous characteristics at high temperatures. This application of oxides to a ceramic object guarantees its impermeability, fulfilling at the same time hygienic and decorative functions. 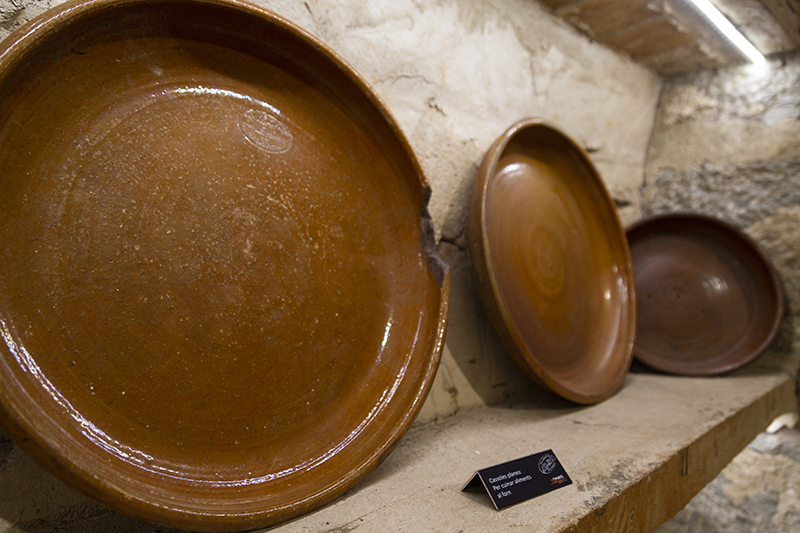 In the Valencian territories, the ceramic production received the contribution of different cultures. But it was during the Andalusi period when a broad repertoire of techniques, forms and decorations were developed, which had a decisive influence on the magnificent Valencian pottery productions of the late medieval centuries. Until the 16th century, these pieces were exported across Europe, with Paterna and Manises as the most emblematic production centres. 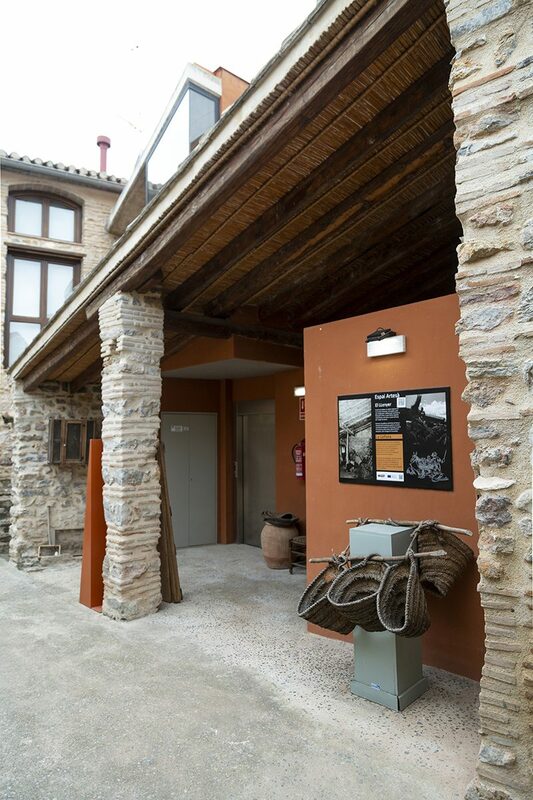 In the Valencian context there were also other production centres on a lesser scale, such as Potries. 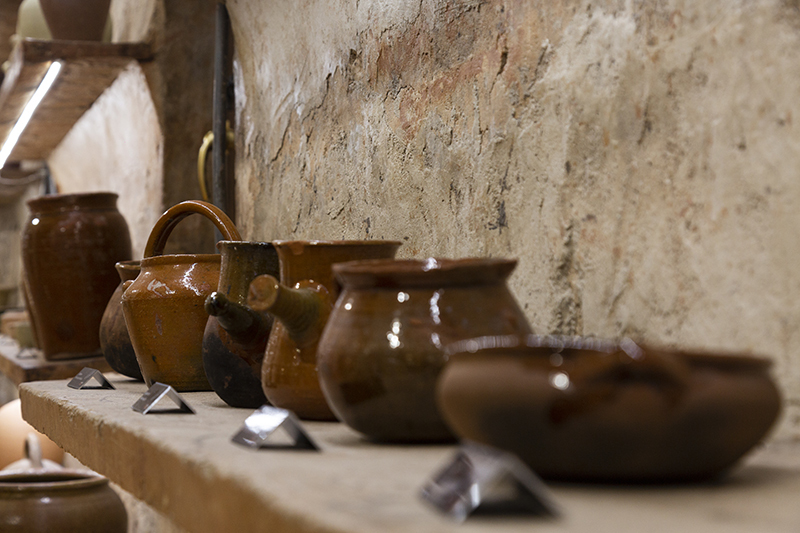 Here the potteries were controlled by the stately power, and produced mainly common or varnished pottery (pots, casseroles, vessels, jugs , bowls …), and another very singular product, the so-called sugar forms, which were pottery recipients used to refine the sugar produced in La Safor. During the Late Middle Ages, Potries and other settlements belonged, from the 13th century, to the Barony of Rebollet. Afterwards, in the 15th century, they were part of the County of Oliva. The Carròs, Riusech and Centelles families possessed the Lordship of this fertile enclave, where the sugar cane trade provided wealth and splendor. 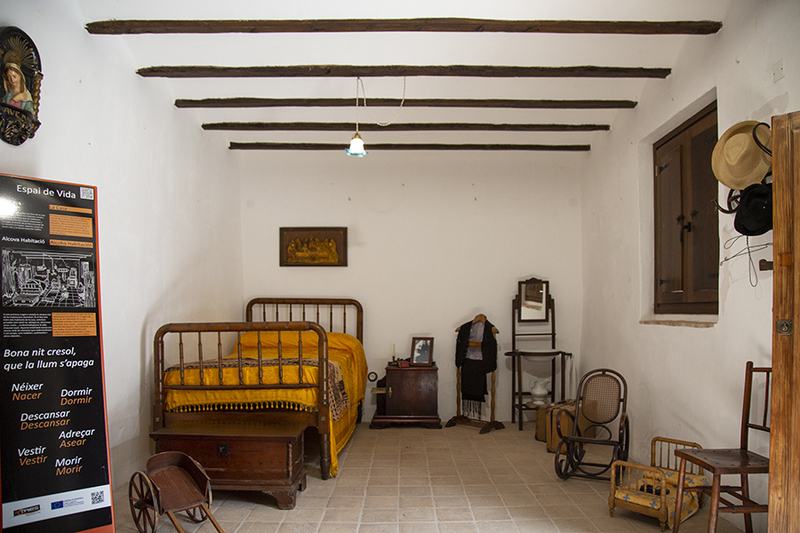 At the end of the 16th century, the County was remodelled, and since then it belonged to the powerful Borja family, who held the Duchy of Gandia. Discoveries of ceramic dumps in the Avinguda de la Constitució (former Barranc Street) and in Sant Joan Baptista Street bear witness of the combined production of fire and table pottery, glazed clayware, common and painted ceramics, as well as pieces to supply the sugar cane mills in the region. Their types and the techniques employed refer to a consolidated production characteristic of the 16th and 17th centuries. 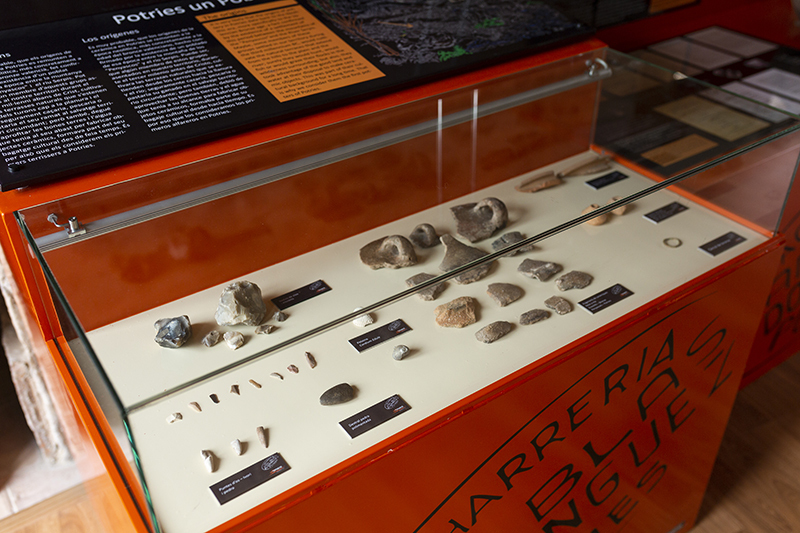 All this was corroborated after the urgent excavation carried out in the Sant Salvador Street in the year 2000. This archaeological dig allowed us to unearth one kiln and document two others. 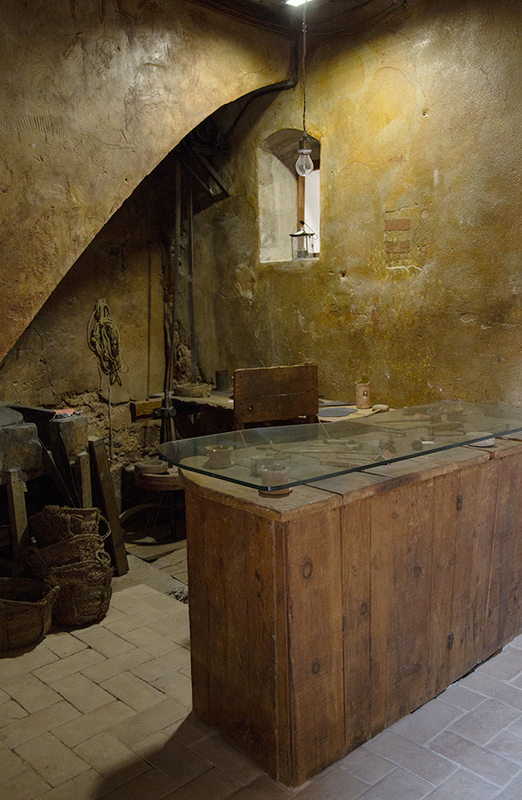 The “cassoleries” were most characteristic pottery centres in Potries. Despite the uncertain origin of the glazed ceramic production, dating back to the 15th or 16th century, it was in the mid-19th century when most of them were established and integrated into the urban topography of Potries. These potteries reached a peak in the first third of the 20th century. All of them were located in the historical nucleus of Potries, grouped at both ends of the town, as they were pollutant industries that generated residues and smokes. The potteries and workshops were tied to domestic spaces, although the kilns were sometimes used jointly by multiple production units. 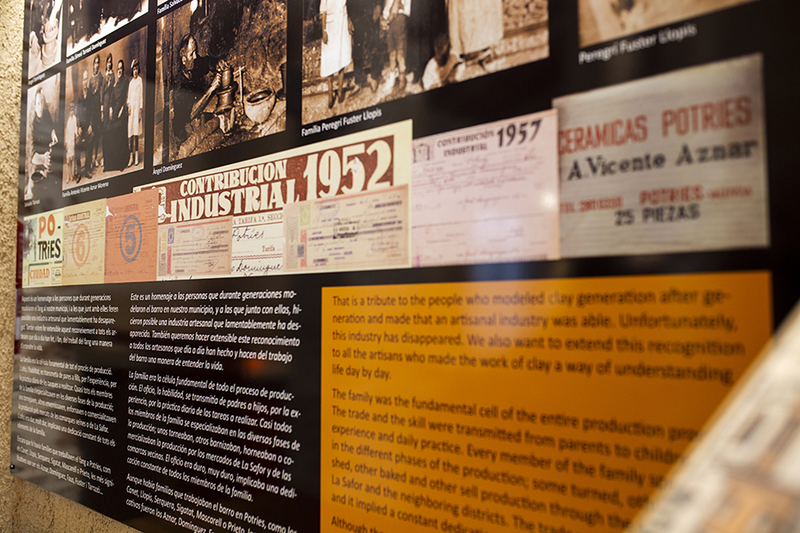 The Tarrazó, Domínguez, Faus and Canet, among others, were the most representative families dedicated to this artisan trade, which required a certain degree of specialization from the craftsman and specific components in the family nucleus. Constitució Av. (Barranc Street), 5 & 7.